Note: This is the first of three parts of my trip to the north of the Philippines. And I have not exhausted all of its beautiful sights. 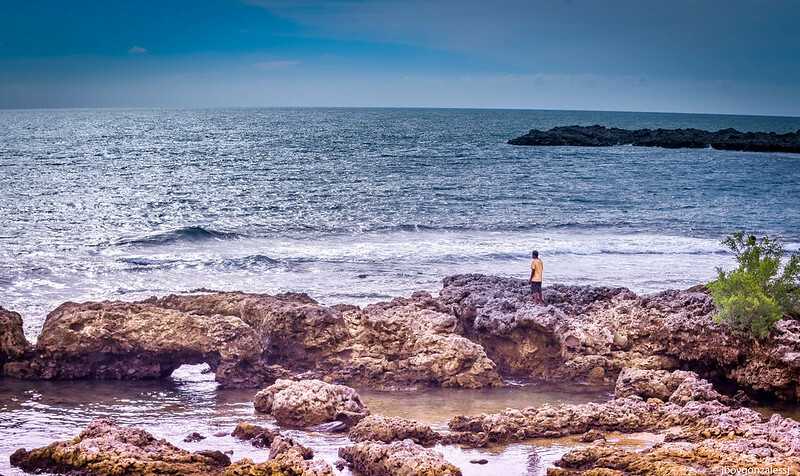 Since I do not want a very long post, I have divided my adventure into three posts: The views along the way to Ilocos Sur (Part I), the sights of Ilocos Norte (Part II) and then, my Ilocano food trip without the sophistication (Part III). 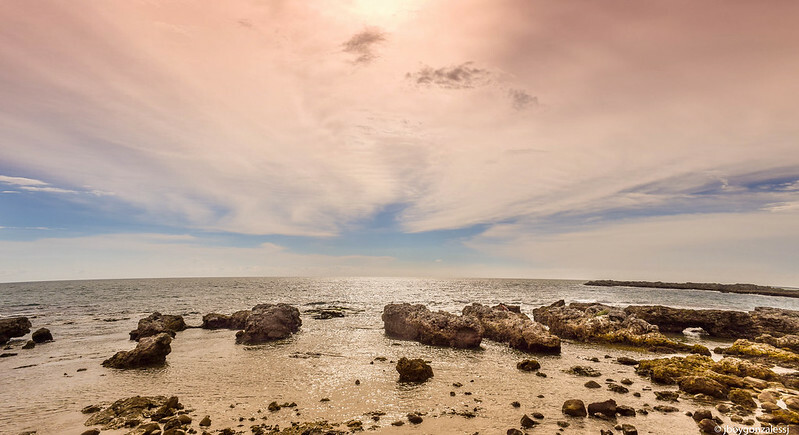 Tip: Get to know the history of each place to deeply appreciate its beauty. 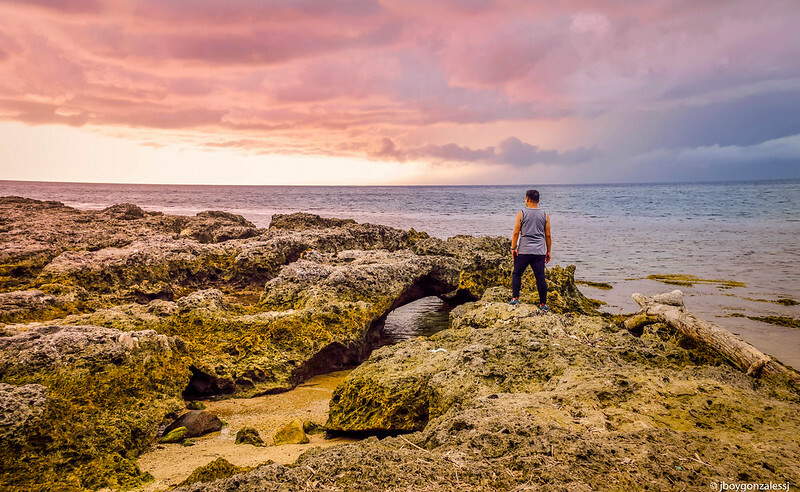 I’d like to promote a knowledge-based, in-depth, and immersive traveling, than just a trip for Instagram’s sake. Better if you learn a few words from the place you’re visiting. Remember to always respect the place by keeping it clean. Bring your memories: your photos or support the local souvenir industry (just don’t buy products made of parts of endangered species like animal skins or shells). The North of the Philippines was always intriguing to me, a place worth an adventure. I had spent most of my life in the South, particularly Northern Mindanao, so to imagine myself at the tip than at the bottom of my country looked so exciting. When I visited Vigan for a day with fellow Jesuits in the early ‘90s, I already fell in love with Calle Crisologo because it gave me a homey feel, almost like walking on the streets of Camalig, Albay, my hometown. 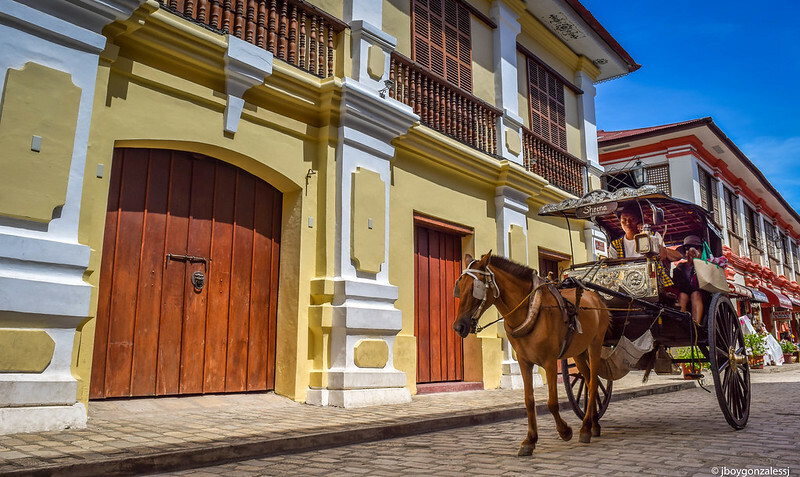 The 16th century houses lining up a Spanish-era street transported you to a point in history when life was simple and straight-forward. Or, it visualized Jose Rizal’s Noli Me Tangere, at the very least. When Peewee Ligot, one of my closest friends, invited me to go on a journey to the Ilocos, I grabbed the opportunity without second thought. I was already in Baguio when he dropped by, so packing only what was necessary for the journey was easy. Below were the places we visited from Baguio City. 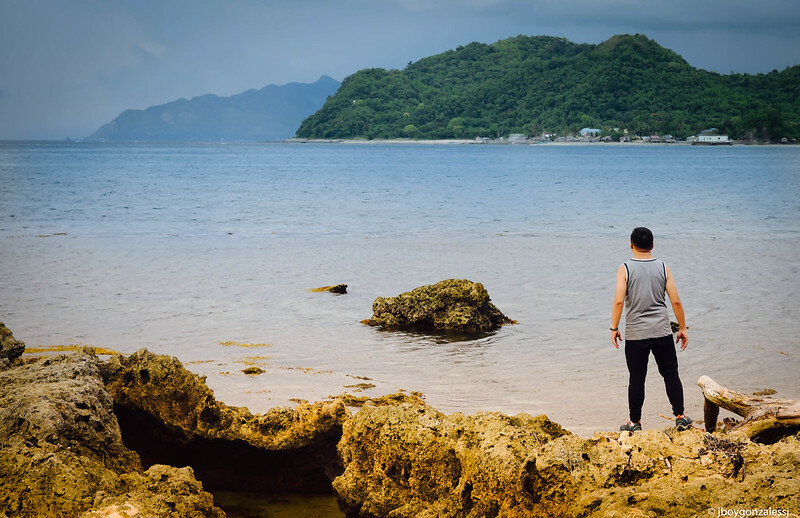 There were more to find in the North (like the Provinces of Abra and Cagayan Valley), so I’d rather not do a top 10 until I visited a substantial number of its sights! Let me take you instead on a ride with us. St. William the Hermit Cathedral, Diocese of San Fernando, La Union, 1764. 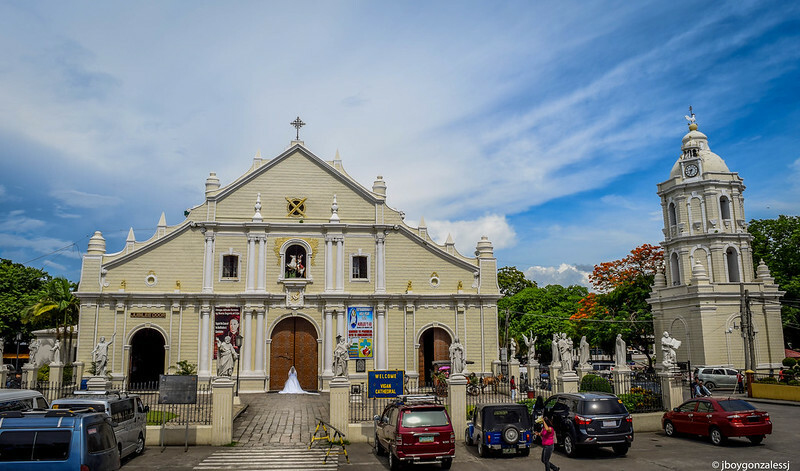 Peewee’s grandfather, Bishop Victorino Cristobal Ligot, was the first bishop when the church was elevated to a cathedral. His remains are buried at the cathedral’s sacristy. Parish of St. John the Baptist, San Juan, La Union. Parroquia de San Juan Bautista. 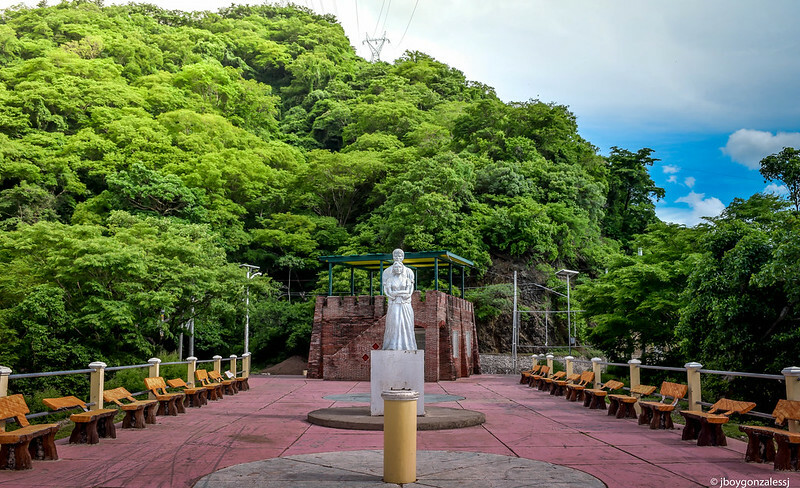 Established in 1707 under the Augustinians, this parish belonged to the former Diocese of Nueva Segovia, with its See in Lal-lo, Cagayan. Later, it moved to Vigan, formerly the Ciudad Fernandia in 1758. 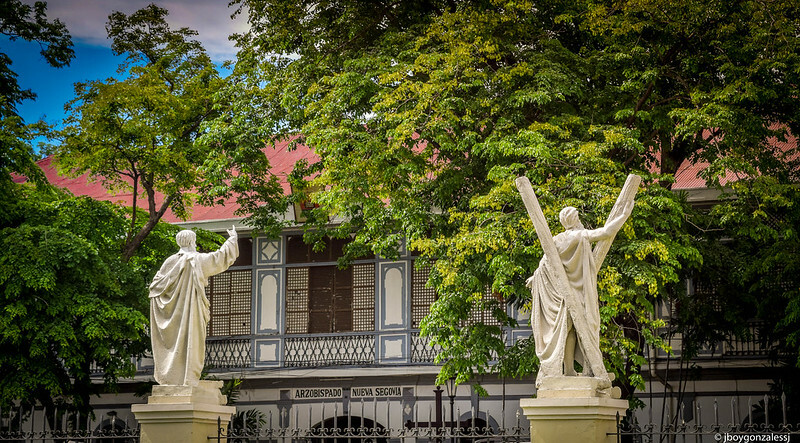 In a report by Bishop Francisco Miro, OSA on 5 April 1860, the parish of San Juan had a “small wooden parish house.” The 1898 Revolution destroyed both the church and the convent of San Juan, including the whole town itself. Noteworthy of mention, is Rev. Fr. Mariano Gaerlan, who became the first Filipino parish priest of San Juan. He was one of the “Nine Clerics” of Nueva Segovia who was tortured for suspicion of being members of a secret society. The accuser was the parish priest and Vicar Forane of San Fernando, Fray Rafael Redondo. The “Nine Clerics” were brought to Vigan to be tortured and maltreated by the Spanish friars in the seminary. Then they were sent to San Fernando for more torture, until they were incarcerated in Bilibid Prisons in Manila. A military court would find them not guilty of the charges. They were released on 3 April 1897. They were reinstated in the ministry. The accuser, Fray Redondo, was later assigned to Candon. On March 25, 1898, a premature uprising led by Isabelo Abaya started in Candon and three friars were killed, one of them was Fray Rafael Redondo. Now, back to Fr. Mariano Gaerlan: he was assigned to his native town of San Juan, where he reconstructed the parish church. His remains lie in the church whom he both loved and served until the end of his life. 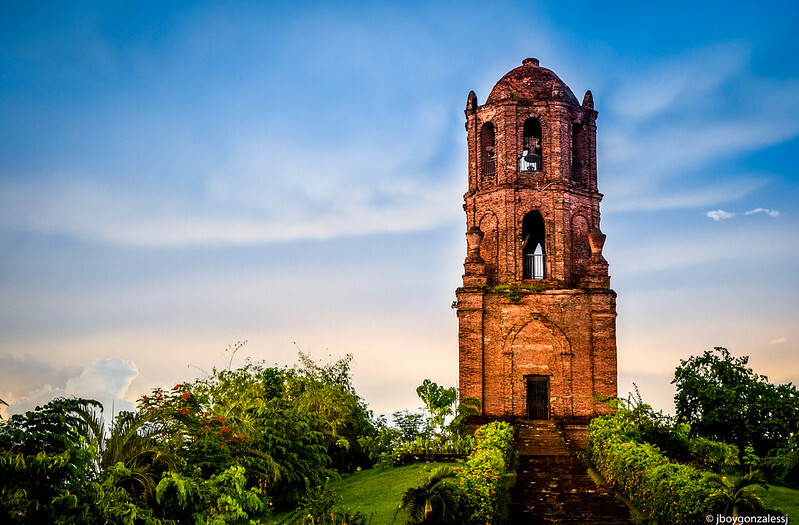 The Bantay Bell Tower, Ilocos Sur, 1591. 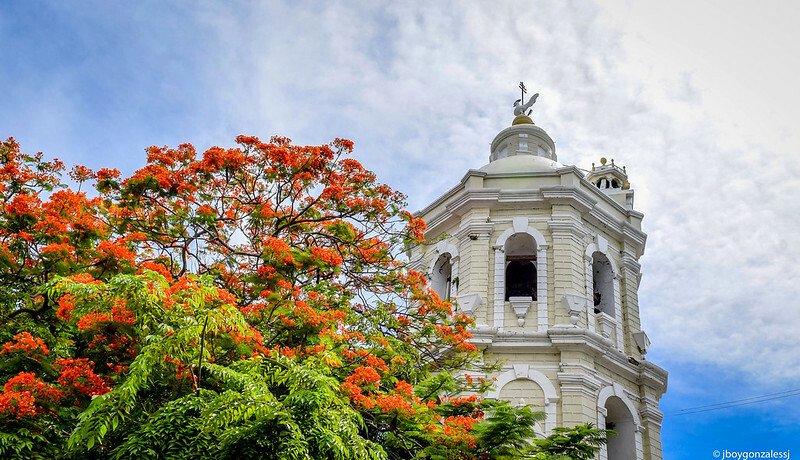 This old historic belfry acted as a watchtower for pirates during the Spanish colonial period. The word, “Bantay” which gives both this tower and the town’s name means “guard” – faithful to what this bell tower was built for. Because of its strategic position, this watch tower was also used during World War I and II. Sanctuario de Nuestra Señora de la Caridad. Parish of St. Augustine, Bantay, Ilocos Sur. The miraculous image of Our Lady of Charity, the Patroness of Ilocandia, is enshrined in this church. Though this church has been rebuilt in 1950 after being heavily damaged, they tried to restore its facade to its Neo-Gothic design with a pseudo-Romanesque materials and elements, using bricks and mud. 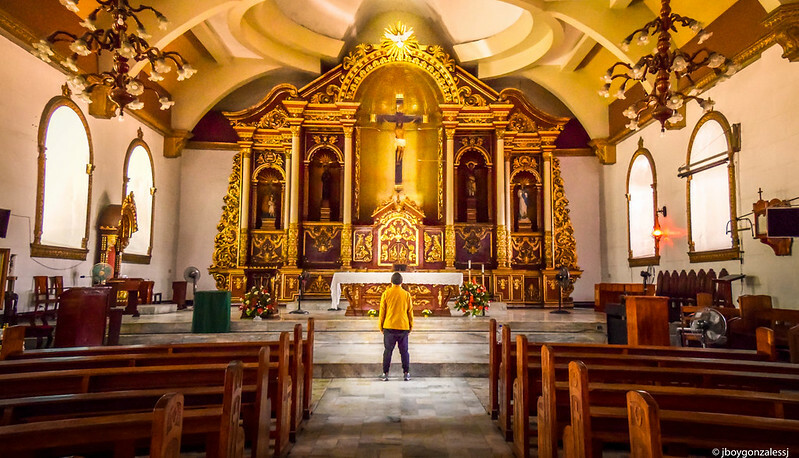 But its history is traced as early as 1590, making it one of the oldest churches in the Ilocos Region. Calle Crisologo, Vigan City. Vigan is a UNESCO World Heritage Site because it is one of the few Hispanic towns in the Philippines where structures have remained intact. 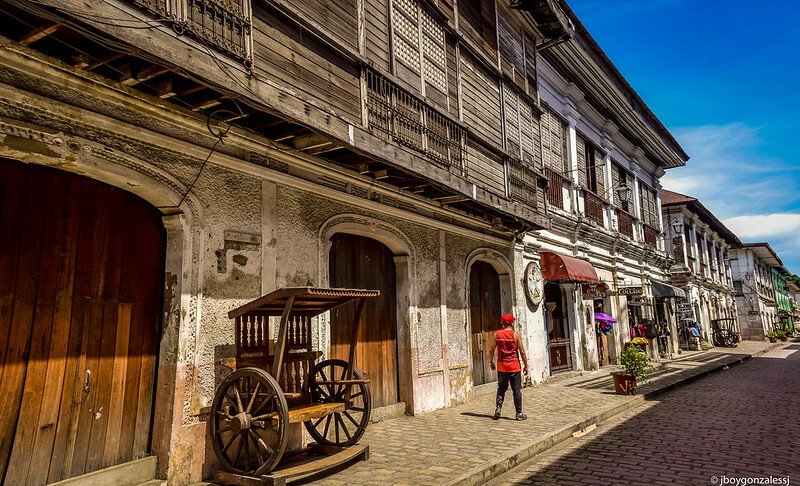 What distinguish Calle Crisologo from other streets in Vigan are its cobblestone streets and the architecture of its buildings. They are fusions of Philippine-Oriental and European architecture. 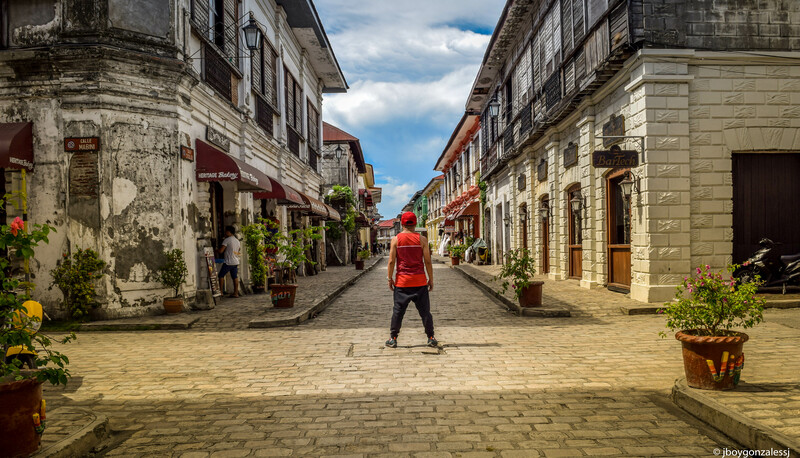 In May 2015, Vigan was officially recognized as one of the new 7 Wonder Cities in the world. St. Paul’s Metropolitan Cathedral. A bride prepares to enter the church doors for her march to the altar. 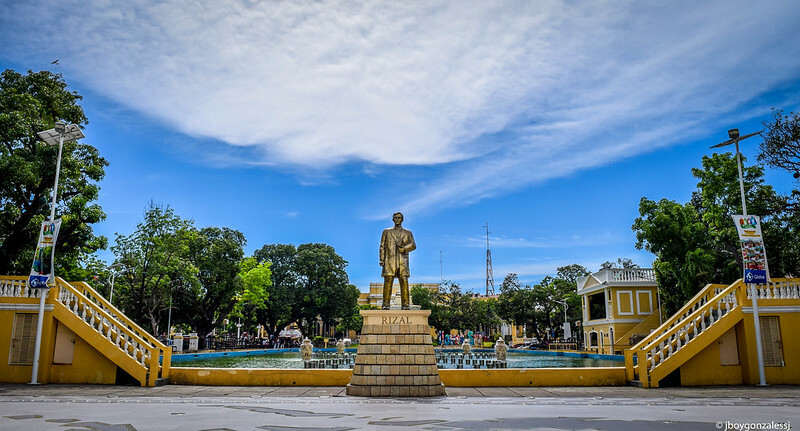 Plaza Salcedo, Vigan’s Central Park. Urban planners during the Spanish Era followed the Ley de las Indias (the Law of the Indies) in the 18th century. Under this law, the lay-out of the streets follows a grid, the centre of the grid is a central park, surrounding the central park are administrative buildings, the municipal hall, the church, etc. 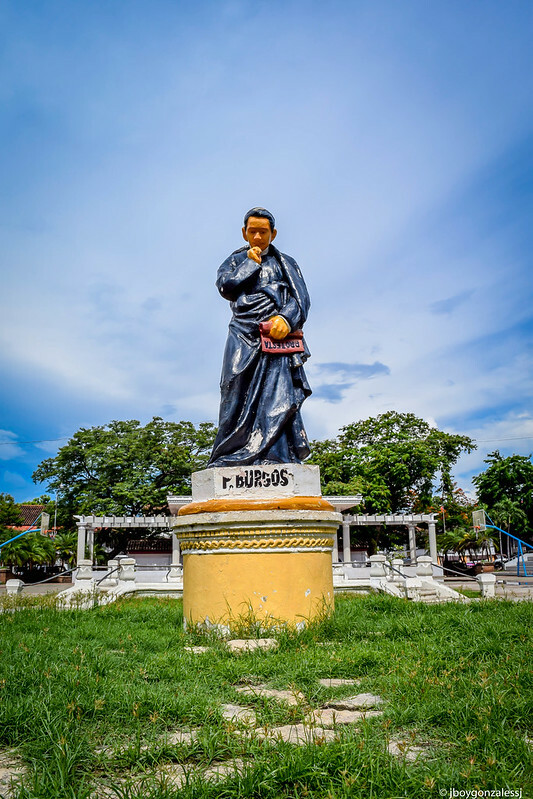 Plaza Burgos, Vigan City. Located beside St. Paul’s Cathedral, this plaza is close to Calle Crisologo where prominent families have built their homes. 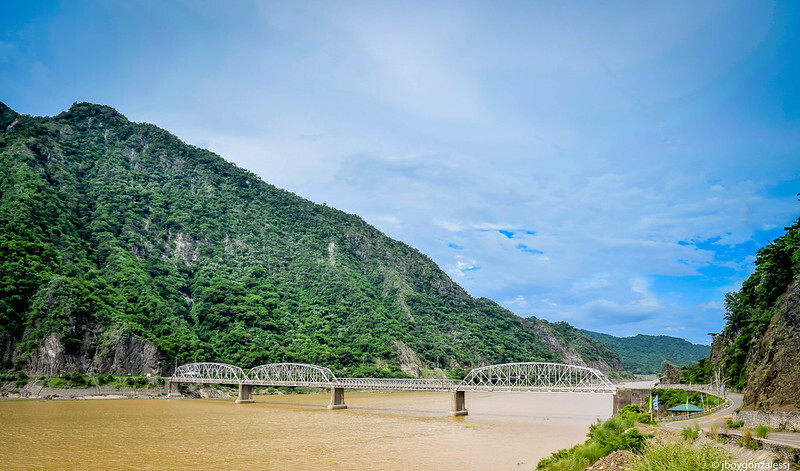 Banaoang Bridge and the Abra River. This water gap (called, Banaong Gap) was formed by the Abra River, by cutting tall mountain ridges in the Ilocos Range. Two bridges (old and new Quirino Bridges) connects the mountains and separates the town of Bantay and Santa. The Viewing Deck, Brgy. Banaoang, Santa, Ilocos Sur. This gives you a view of the two Quirino bridges (old and new), the Abra River, and Mt. Tetas de Santa and Mt. Binitalo. Quirino Bridge. 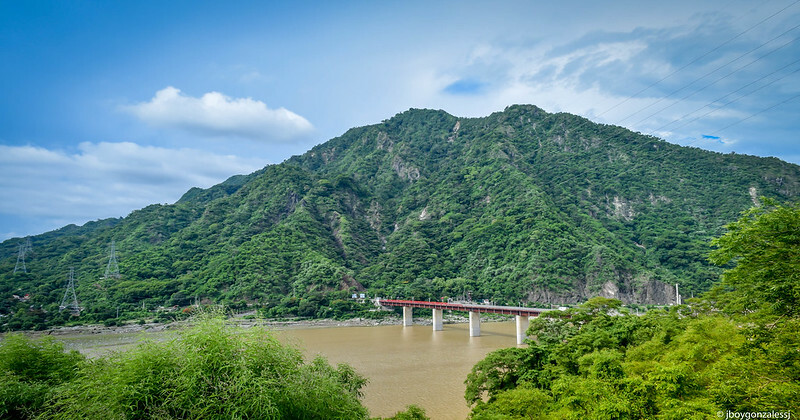 The new bridge’s red color gives it a distinguishing mark in largely green mountains of Mt. Tetas de Santa and Mt. Binitalo. 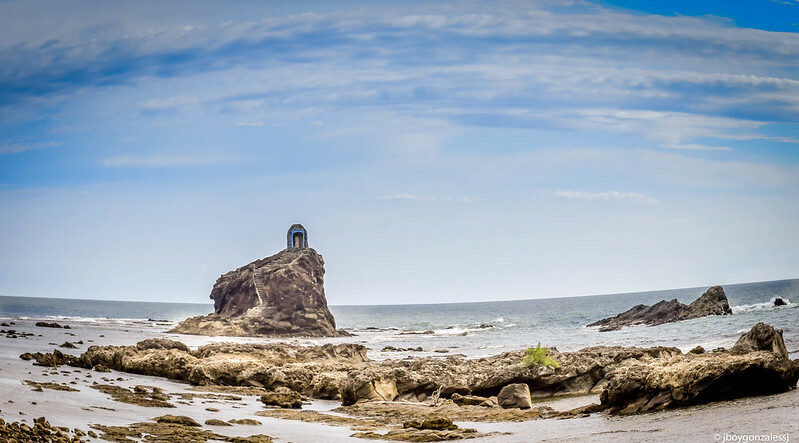 Rock formations and coral stones make the coast of Narvacan in Ilocos Sur, worth visiting! Be sure to be in footwear because the rocks are sharp and tricky. The town of Sta. Maria has much to offer, like its beautiful old church, but we didn’t pass through the town. Instead, I just had my photo taken, because, at least, I was there. Perhaps, next time! So, enjoy your trip. 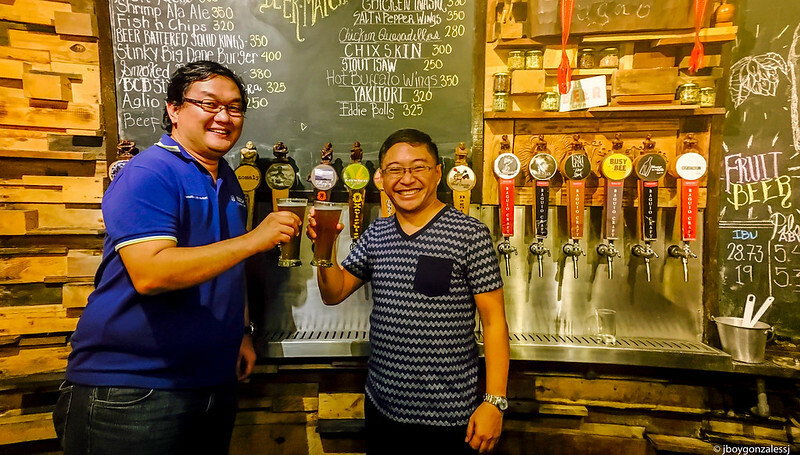 Click these links to check on Ilocos Norte, and Ilocano food! Next Paano mo makikilala ang tunay mong sarili?